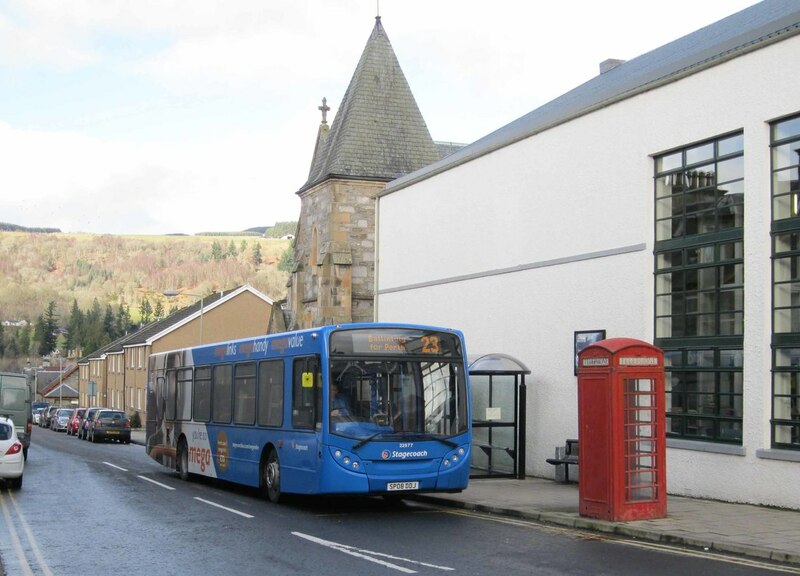 If you are travelling by public transport to Aberfeldy, you'll need to complete your journey by bus or taxi. 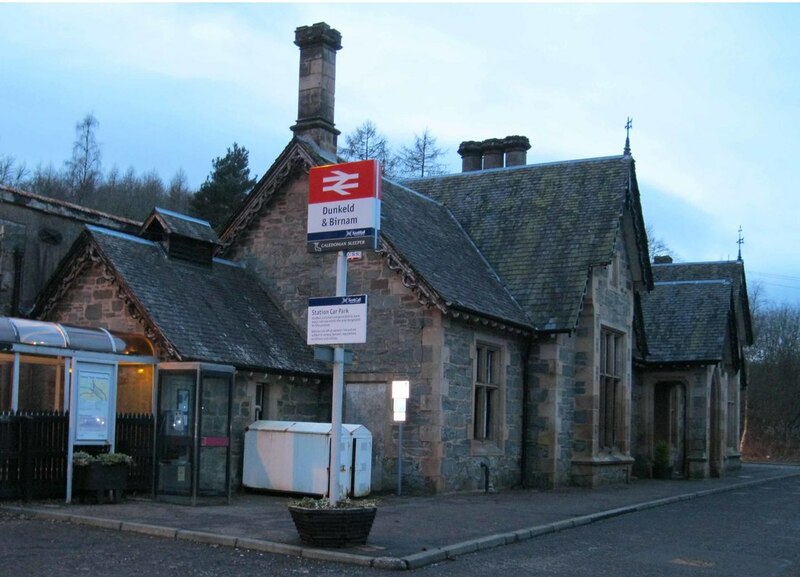 The nearest rail stations and major drop off points for the coach companies are Perth, Dunkeld or Pitlochry, and from any of these, you can catch a bus to Aberfeldy. Traveline Scotland is an excellent facility that will allow you to plan your journey to the Aberfeldy area, from anywhere in Scotland, by whatever mode of public transport you prefer. Local bus services are detailed on: http://www.pkc.gov.uk/article/4578/Highland-Perthshire-and-Stanley-area-timetables. There are a number of services which stop on request on Taybridge Drive. If you prefer to take a taxi, there are services in Aberfeldy (Aberfeldy Taxis [01887 820 370]), Dunkeld (Birnam Autocabs [01350 728828], M & D Cabs [07718 755356]) and in Pitlochry (S R Taxis [01796 473931]), as well as a number of providers in Perth. Please note that this provision of contact numbers is not an endorsement of any of these firms. We will always try to meet you and show you round, but if this is not possible for timing reasons, the key can be collected from a key safe on the property. We will send you the location & code prior to your holiday. Parking is available for 3 cars at the front door of the cottage. On street parking is also available. 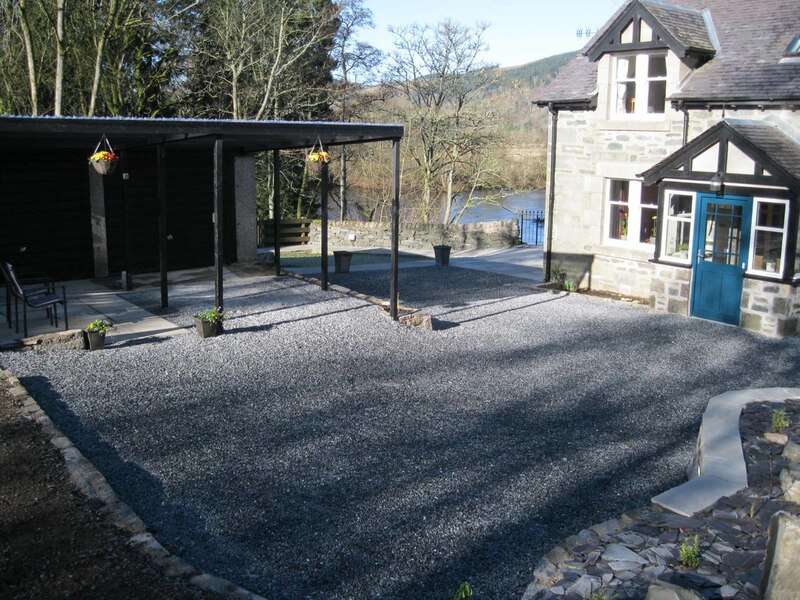 The parking area has a gravel surface with a wheel chair – friendly mesh walkway leading to the cottage. This area is well lit at night by external lights. The front door opening is c.800mm/31.5ins wide. There is a very gentle ramp to the front door. An alternative access entrance is available at the rear of the cottage with two steps. The floor covering inside the entrance porch is tiling.